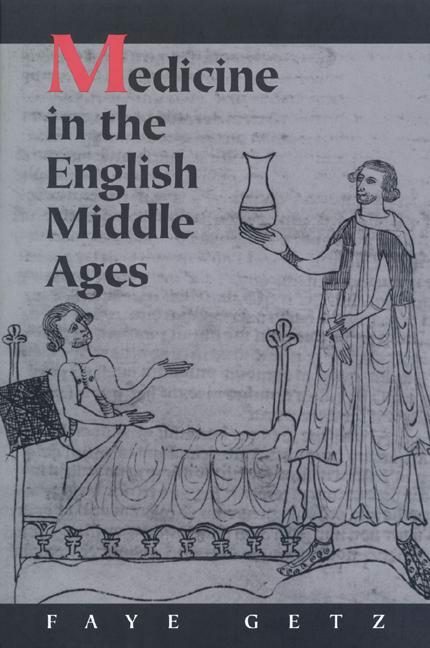 This book presents an engaging, detailed portrait of the people, ideas, and beliefs that made up the world of English medieval medicine between 750 and 1450, a time when medical practice extended far beyond modern definitions. The institutions of court, church, university, and hospital--which would eventually work to separate medical practice from other duties--had barely begun to exert an influence in medieval England, writes Faye Getz. Sufferers could seek healing from men and women of all social ranks, and the healing could encompass spiritual, legal, and philosophical as well as bodily concerns. Here the author presents an account of practitioners (English Christians, Jews, and foreigners), of medical works written by the English, of the emerging legal and institutional world of medicine, and of the medical ideals present among the educated and social elite.How medical learning gained for itself an audience is the central argument of this book, but the journey, as Getz shows, was an intricate one. Along the way, the reader encounters the magistrates of London, who confiscate a bag said by its owner to contain a human head capable of learning to speak, and learned clerical practitioners who advise people on how best to remain healthy or die a good death. Islamic medical ideas as well as the poetry of Chaucer come under scrutiny. Among the remnants of this far distant medical past, anyone may find something to amuse and something to admire.